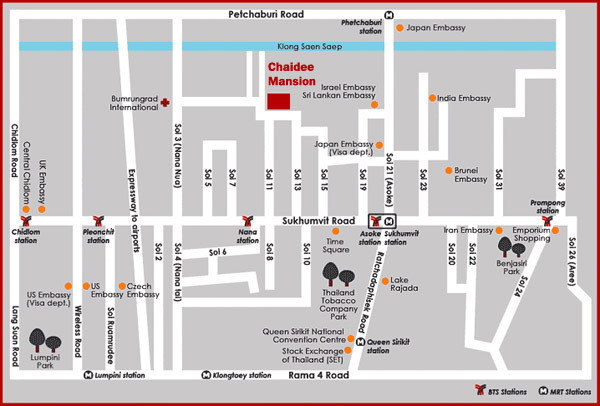 Chaidee Mansion is located in Sukhumvit Soi 11 at the prime commercial and residential areas of Bangkok. Guests enjoy easy access to; glorious restaurants at affordable prices; lively sports bars; relaxing spa treatments and world renowned shopping centers. 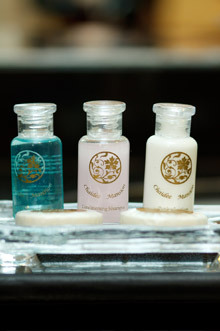 Chaidee Mansion is self-managed by the owners, ensuring the smooth running of the day-to-day operations and maintaining the high standards of customer services throughout your stay. Our apartments are designed to meet the needs of business expatriates, busy travelers, couples or large families. Chaidee Mansion is divided into two buildings; a four-story building offering Studio and One-Bedroom Apartment Suites, and ten-story building offering Large Two-Bedroom and Three-Bedroom Apartment Suites. All apartments are furnished with light wood interior, polished parquet floors and high quality fabrics to make you feel like home. In the ten-story building, once you step off the elevator, you will be in front of your apartment with no one sharing your floor. The apartments are divided into three zones with one unit per floor in each zone, with a private elevator in each wing. At Chaidee Mansion, we pride ourselves in providing the best customer service and to make our guests feel at home and often resulting in extending the stay with us. We also boast high proportion of returning guests from our impeccable customer service and providing a memorable stay in Thailand.